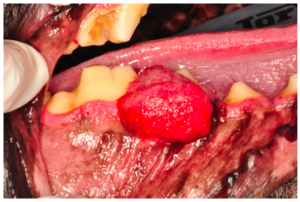 Unfortunately, oral cancers are relatively common in both dogs and cats. Many of these oral cancers are benign and require minimal treatment, while others can be extremely aggressive with no effective treatment options available.  The first step to proper treatment is to ensure an accurate diagnosis, which some times requires experts in both oral medicine and pathology. 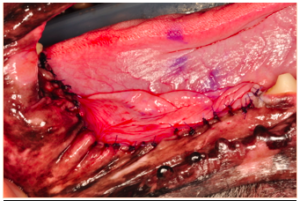 The doctors at Pet Dental Center work with veterinary oral pathologists to provide an accurate diagnosis in all cases of suspecting oral lesions. Once a diagnosis has been made, we will provide treatment options that may include surgical excision by one of our doctors or referral to an oncologist for non-surgical treatments. Our doctors have specialized training in oral surgery and we have state of the art equipment that allow us to excise oral tumors in ways that are as minimally invasive as possible helping to reduce complications, preserve esthetics and maintain oral function.